In Hatchlings Games, we have multiple web and web games development projects. All our projects has to make at least a 3000% return on our investment. One of the key components is that is to make our customers (gamers, hippies and their parents) over satisfied. In web and game project, that translate to the LOOK and FEEL of the site. uses different technology and methods at suitable times. work very hard and smart! If you a person who cares about the above, please drop John @ johntan@quasr.com an e-mail. We prefer you to be in Cyberjaya, Malaysia but theoretically we can work from anywhere – One developer dwells in his home at Vancouver and we are thinking of partnering with a web development service firm in Bangalore, India. There are full-time, part-time, contract and internship (paid and unpaid) positions available. Since we are an unfunded startup, we can also work out royalty sharing sharing with each project. 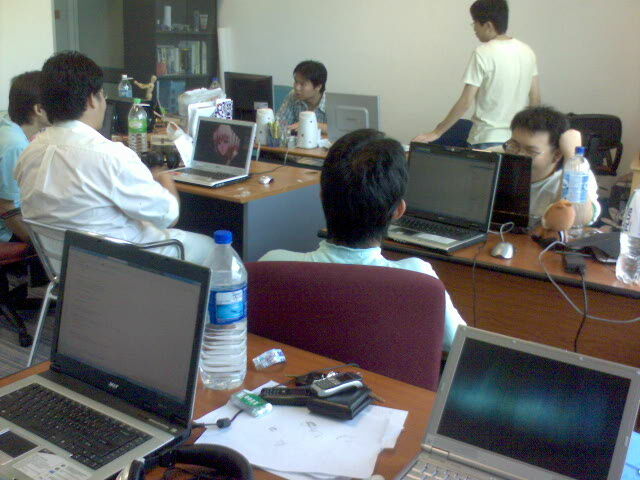 We prefer to hire developers that are staying in Malaysia so we can meet occasionally. But this is by no means a requirement. In the team, we have developers from Vancouver, Canada and soon from Bangalore, India. 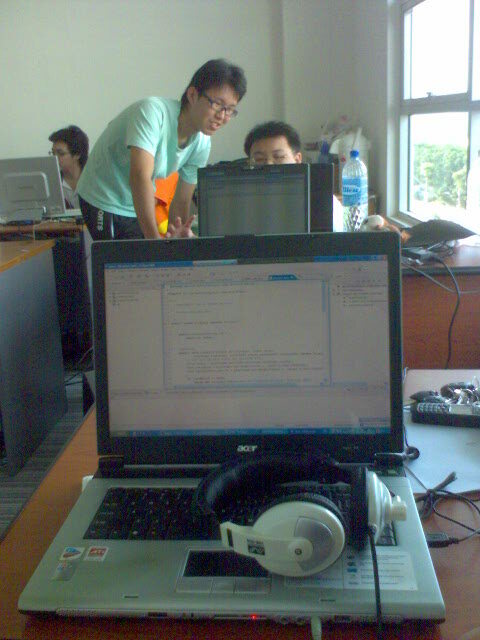 We have an office in Cyberjaya where you can sometime meet up to do some parallel programming/designing. If you really want to send your resume, the e-mail is johntan@quasr.com. If you are great at Flash and ActionScript (2.0 and optionally 3.0) and is looking for a job (full-time, part-time, contract, freelance or internship) to develop games for the web, please let us now! We have urgent openings for you. working on the multiplayer user-created Quasr: Trading Card Game which runs on SmartFoxServer. working on new Web 2.0 tools for user-created content. working on external client projects (usually simple Flash games). working with other programmers, game designers, artists and entrepreneurs. with a group of passionate gamers and developers. You can work from any country but we prefer you to be in Malaysia. Thats it, you CAN be anywhere in the world and work from your home. If you are in Malaysia, our office is located in Cyberjaya, Selangor, Malaysia. If you are serious about sending your resume, please send them to johntan@quasr.com. We now have a strong programming team but require more organization of the artists to make a great game universe. If you are a highly motivated and organized artist who want to be the Lead Artist of Quasr, please send us your resume, portfolio, URL, etc. Complete details of the job can be found here. After one and a half year working as a part time game programmer in Hatchlings Games. Kuan finally upgraded to be a full time game programmer! It’s been 2 weeks since I started working full for Quasr without distraction from tedious assignments or boring test papers. These 2 weeks are…Awesome! 1, does not have compulsory morning working time. Programmer working time is from 2pm noon until 12am midnight. Some of the game designers even work overnight in the office so that they can use the early morning time for brainstorming and quiet debates. 2, does not have compulsory fixed attire. I can wear my favourite style – t-shirt + short pant + sandal. Personally, I feel bad about wearing formal. For me, it just decrease work efficiency. 3, does not have bad politics, because Hatchlings is a team :). Quasr earn, we earn. Quasr dead, we FIX! 4, has a harmonious and fun environment. Everyone is passionate about game development, close in age, love Quasr, are friendly, playful, have dinner together, and laugh together… I doubt this is common in the working world out there. 5, Is all about game development. 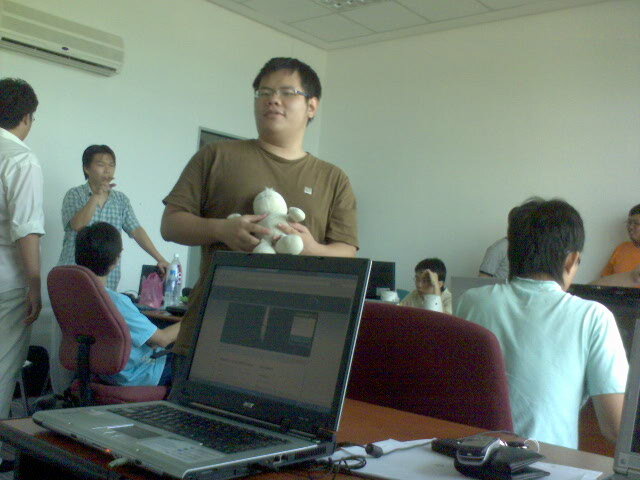 Involving in game development had been my dream since young. Here are some of the pictures I snapped in the office today. Most of the hatchers bring their own laptop (limited space? good, everyone can talk!) I like this feeling, all work together, discuss and yell together. Be part of Hatchlings Games! Our studio’s friend studio, Sherman3D is hiring Malaysian Pixel Artist for a Nintendo DS game project. They need the artist urgently. Sherman3D is a top game development outsourcing studio in Malaysia. The two co-founders and lovebirds, Sherman Chin and Tiffany Lim are great personal as well as professional friends. Check out their website at www.sherman3d.com. If you are interested in the job, please leave a comment or send an e-mail to johntan@quasr.com. Over the past week, we have received many resumes for the programming positions in Hatchlings Games. We are talking seriously with them now. However, we still need to hire a full-time web designer. This person has to be someone with unimpeachable design sense. She has to be a game player too. She has to be someone who appreciates user interface design of games and the web both. Her design sense has to be modern (she gotta know what that means). This is because our web designer own the look and feel of Encephalon. The web designer has to be an expert in web design, HTML/CSS and fluent in the discussion of usability issue. Her HTML is more well constructed than the Petronas KL Twin Tower. She hates Microsoft-style and Friendster’s UI and always strive to beat the sh*t out of their apps. If you are that person, please e-mail johntanslade@gmail.com. Hatchlings Games is looking for flash, java, web programmers and web designers to join the our development team. Although we are based in Cyberjaya, Malaysia, you can be anywhere in the world to join us. Fresh Graduates and Interns are encouraged to apply too. Just remember, changing the world requires people with an attitude. Please visit the Jobs section for more details.